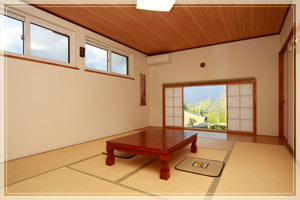 Japanese Western mixed style wooden interior decorated house with self-maded wooden dining table, two private big bathrooms, and private toilet on each floor. No toilet or bathroom in each guestrooms. 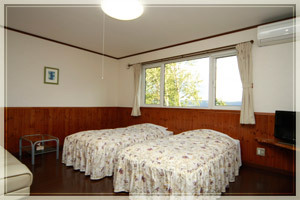 There are 3 twin rooms, 1 triple rooms, and 1 Japanese rooms. 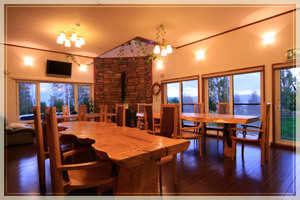 You can enjoy a view of vineyard, or Mt. Asahidake, the highest mountain in Hokkaido from the guestrooms. Most of the meals served in Ashitaya are using local ingredients. Especially original rice grew for Ashitaya for dinner, and homemade bread for breakfast are popular among guests.